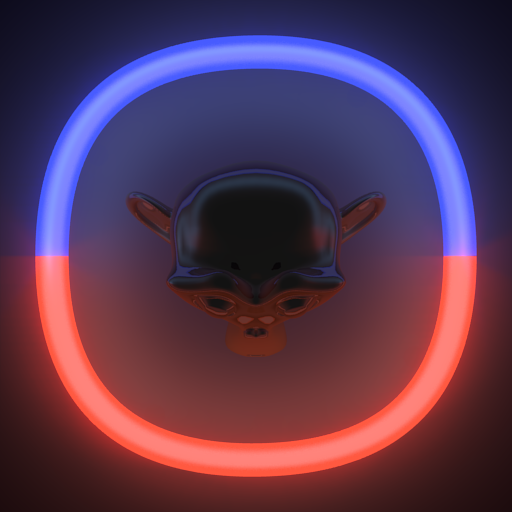 This is the result of today's experiments with emission, curves, and indirect illumination in Blender 2.57. I did a bit of compositing with compositing nodes. Just a test. Thank you for sharing your work. I am a total 3D newby but i am trying to create a neon light that interacts with animated objects. The manuals all talk of radiosity that seems to nô longer exist in blender 2.57. As you seem to have solved this problem, would you be kind enough to give detailed explaination of how you did it?